A senior political commentator believes there will be no reason for Iranian Kurds to go for secession if their rights are respected and their demands met. One week on since the contentious plebiscite on the secession of the Kurdistan region form Iraq, the move continues to draw local and international reaction. In the latest development, Saad al-Hadisi, the spokesman for Iraqi Prime Minister Haider al-Abadi, has announced that Kurdistan must first annul the outcome of the referendum, which runs counter to the Constitution, and enter into serious negotiations in order to boost Iraq’s territorial integrity. On the other hand, it is said that US Secretary of State Rex Tillerson, in a statement, described the result of the plebiscite as unacceptable and illegitimate. Although authorities of the Kurdistan region have underlined their right to self-determination and described it as a prelude to the resumption of talks with Baghdad, many experts believe that an irreversible trend has begun in northern Iraq and that the process can get entangled with other crises in the Middle East to trigger new conflicts in the region. Accordingly, our country’s officials have voiced concern over the possible secession of Kurdistan from Iraq and called for a settlement of the issue through political processes. Nevertheless, on the other hand, some academic and expert circles in the country have adopted different positions on the referendum so far and even believe the establishment of an independent country called Kurdistan will serve Iran’s strategic interests in the long run. 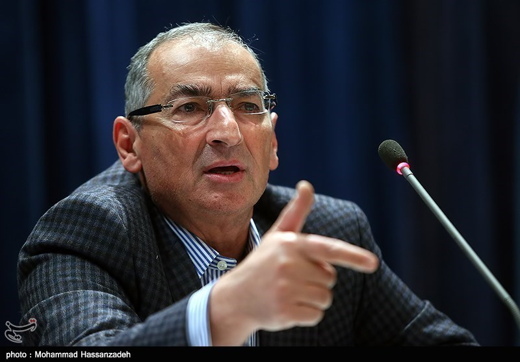 Accordingly, political commentator and academic Sadeq Zibakalam has, in a Farsi article published on Ebtekar newspaper, weighed in on the latest developments pertaining to the controversial referendum on the secession of the Kurdistan region from Iraq. Explaining the current and historical situation of the Middle East, he has expressed his view on what should be done to allay the concerns in Iran over the issue. He says adopting a heavy-handed approach on the issue will work for a short time only, and that Iraqi Kurds will continue to sept toward independence once the situation is right. This professor of political sciences says his stances on the Kurdistan referendum has drawn strong opposition from the conservative camp in Iran. The question is whether Iran, Turkey, the US, the European Union and even Israel can express their views on the issue of Kurdistan’s independence. I believe “no.” It is only the Kurdish people in Iraq that can decide about their future. Another point is that what we know as Iraq, Syria or Jordan today are all countries which are the result of the Sykes–Picot Agreement at the end of World War I and the collapse of the Ottoman empire. None of the current borders existed before the first World War, so we cannot say the Kurdistan has always been part of historical Iraq. Today’s Iraq was created in 1956, i.e. around 60 years ago. Before that, it was part of the Ottoman empire for 4 to 5 centuries. Earlier, it had been part of the territories of the Mamluk Sultanate, Abbasids and the Rome Empire for so long, and in fact there was no such territory as “Iraq.” So, we cannot insist on the idea that it is being disintegrated. Based on the borders created as a result of the Sykes–Picot Agreement (the names of two British and French diplomats), Syria and Lebanon would become the colonies of France, and areas including Iraq, Saudi Arabia and the Persian Gulf littoral states would become colonies of the UK. Therefore, the Sykes–Picot Agreement was a deal which was similar to forced marriage. Kurds did not start their struggle to exercise their right to self-determination recently; rather, they have been trying to secure their right for several decades. Before the 1979 Islamic Revolution of Iran, before the reign of former Iraqi strongman Saddam Hussein and during his rule, Kurds’ struggle did not stop. Some 180,000 Kurds were killed by Saddam Hussein’s regime during the eight-year Iraqi imposed war on Iran in the 1980s. Still, we are unfortunately witnessing that conservatives easily regard the referendum as an Israeli-Zionist plot. This is while before the establishment of Israel, Kurds were struggling for their right to being autonomous. So, in my estimation, history should not be ignored. Although one can say that the current situation is not a suitable time for holding referendums due to the crises in the Middle East, it should be stressed that Kurds will have a country for themselves in the coming years. Zibakalam further touched upon recent remarks by Nazim Dabbagh, the representative of the Iraqi Kurdistan region in Iran. Dabbagh had said the referendum was not aimed at securing the region’s secession, but that it wanted to draw attention to the demands of the Kurdistan region. Zibakalam said Dabbagh wanted to play with words. Zibakalam also weighed in on remarks by Mr. Jalaeipour, who has drawn a comparison between the referendum in Scotland and that in Iraq’s Kurdistan, and who believes the Kurdistan plebiscite is not defensible. Zibakalam said it is understandable that there is no support for the Kurdistan referendum in Iran. “The reason is that a considerable number of Kurds live in western Iran, and the Iranian government is concerned that the establishment of an independent country called Kurdistan could provide motivation for secession or autonomy by Iranian Kurds. In my idea, the way to ease Iran’s concerns is to give minorities the rights stipulated for them in the Constitution. In other words, in order to encourage Iranian Kurds to remain loyal and not go for secession, their civil rights should be realized and their demands met. If their demands are fulfilled, there will be no reason for secession in Iran’s Kurdistan.